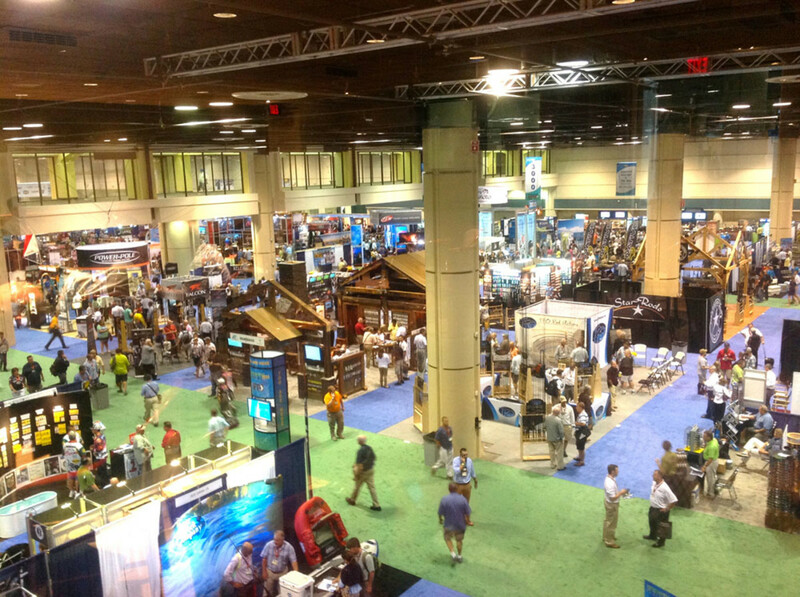 The largest International Convention of Allied Sportfishing Trades show is wrapping up today at the Orange County Convention Center in Orlando, Fla., with a record 11,000 registered attendees, 480 exhibitors and 1,000 media and editorial members, according to communications director Mary Jane Williamson. This is the second year that ICAST, produced by the American Sportfishing Association, and the International Fly Tackle Dealer Show, produced by the American Fly Fishing Trade Association, have co-located the two association trade shows. The show was held in Las Vegas last year; the 2015 show will be held in Orlando again. ICAST stands out as a venue for the largest display of fishing products and accessories in the United States. This year, more than 700 tackle products and accessories were entered by 253 companies into 24 “Best of Show” categories in the New Product Showcase, all vying for the overall ICAST 2014 “Best of Show” award. Making up a special section of ICAST’s 500,000-gross-square-foot show floor, the showcase provides special visibility for the industry’s latest innovations in gear, apparel and accessories. This year, the Predator XL kayak, by Johnson Outdoors Watercraft, was voted by buyers and media as the best product in the boat category and as the overall Best of Show. For product details, images and other information, please contact the individual award winners’ contacts listed below. Best of Show —Saltwater Rod — Shimano American Corp.
Best of Show — Fly Fishing Rod — G. Loomis, Inc.
Best of Show — Freshwater Reel — Pure Fishing Inc.
Best of Show — Saltwater Reel — Pure Fishing, Inc.
Best of Show — Hard Lure — SPRO Corp.
Best of Show — Soft Lure — Okuma Fishing Tackle Corp.
Best of Show — Lifestyle Apparel — Pelagic Inc.